We have full spoilers for one of the box variations for the December Boxycharm box! The only thing I REALLy wanted from this box was that setting powder, so of course I got the palette. I am on palette overload and Bxycharm sent me TWO palettes in this box, and there are some variations that have three, its just nuts. Anyway, if anyone doesn’t want their setting powder, please hit me up! I got my Boxycharm today. I got the Pretty Vulgar powder and the PYT mini straightener. I’m happy! what was your box weight for those who got the straightener? What was the weight of your box for those who got the straightener? I’m receiving my first BoxyLuxe this Month (December). $28.99 on top of the $21.00 is a Lot of money and I’m still not sure if it’s worth the extra money though. If I didn’t get charged for boxyluxe and it still says waiting, does that mean they’re sold out and I wont be able to get it for december? Yes, but they said that if peoples cards don’t go through after a few attempts, they’re replacing their spot w people who are on the waitlist! So there’s still a chance you could get it. If you’re not charged, you won’t get it. 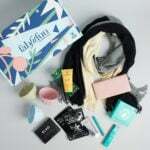 Is it just me or is anyone else underwhelmed with December’s box? I even opted out of Boxyluxe’s waitlist. I loved November’s box though, so maybe that’s why I’m feeling blah about this one. I’m sick of them sending these berry shades. I was (finally) just notified this morning that I AM getting the BoxyLUXE version. Hallelujah…bout time! I will be curious to see the differences between the Luxe and the standard versions. So far the Luxe is supposed to exclusively have the Violet Voss palette, the Luxie brushes, the sponge & the portable charger. If I didn’t get charged for boxyluxe and it still says waiting, does that mean they’re sold out and I wont be able to get december’s? Is the setting powder only in the regular boxycharm certain variant box? I got off the waitlist for the boxyluxe box and the setting powder is the main thing I want. I’m going to be mad if it’s not in the boxyluxe I paid $30 extra dollars for! It’s a variation in both boxy and luxe. Okay thank you, fingers crossed i get the setting powder I never seem to get the box I want, but can’t seem to cancel either lol. I’m addicted 😂🤦🏻‍♀️. It is a variation in both the regular and luxe boxes. If you don’t get it in your box though there are soooooo many groups/pages/forums on FB, IG & Reddit that do swaps for Sub box items. I’m sure you can find someone to swap with. Haha! Kearstin yes it’s kinda like playing the lottery you don’t know what you’re going to get. It’s the not knowing what gets us 😂 I Hope you get the powder, and I hope I do as well 💁🏻‍♀️. The setting powder is only a variation in the regular box. Not Luxe. Look at the full Luxe spoilers. The setting powder is a variant in the BoxyLuxe too, you either get the powder or the Wander palette. Exactly where are you all seeing this? I didnt see it on the full spoilers here, I didnt see it on the BoxyLuxe video on YouTube, didnt see it on their story on Instagram. Only variations they are showing are for the mascara or the lippie, so im curious as to where everyone is coming up with the setting powder being a variation, other than hoping it will be.